Carolyn Emerick writes about the history, myth, and folklore of Northwestern Europe. 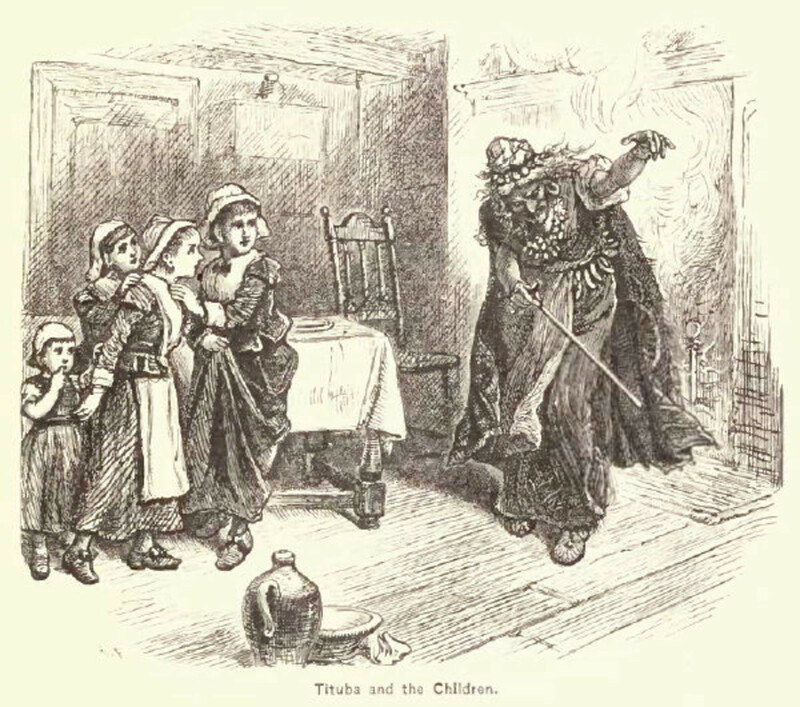 The “familiar spirit” is a common motif found in both folklore and witch trial records of the witch hunt era. The term is said to be derived from the Latin famulus, which means servant, due to the familiar’s role of serving the witch to whom it was attached. 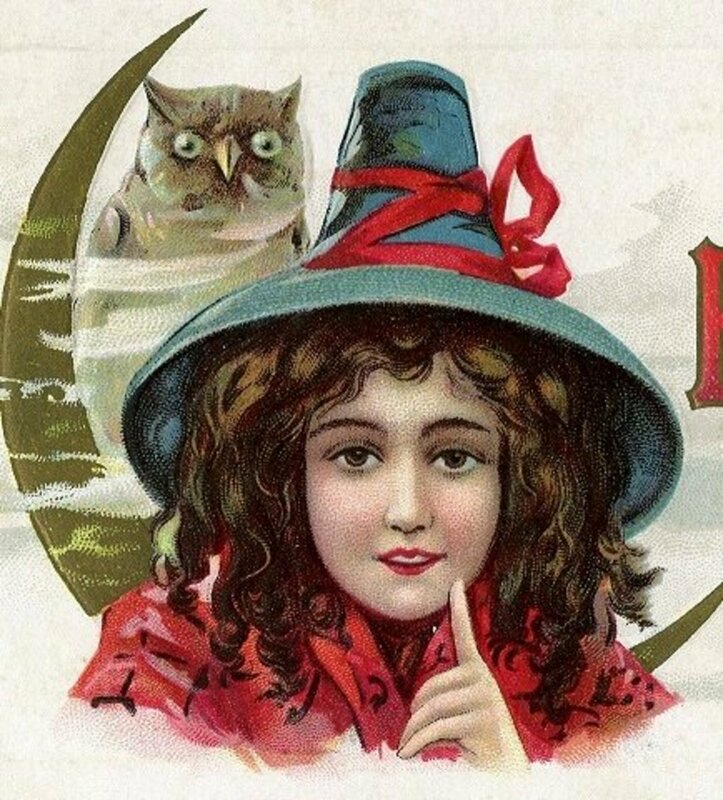 Familiars served as an attendant to the witch, providing such functions as protection and guidance, to teach the witch magical and healing arts, or in the case of bad witches, to do their bidding engaging in sinister deeds. 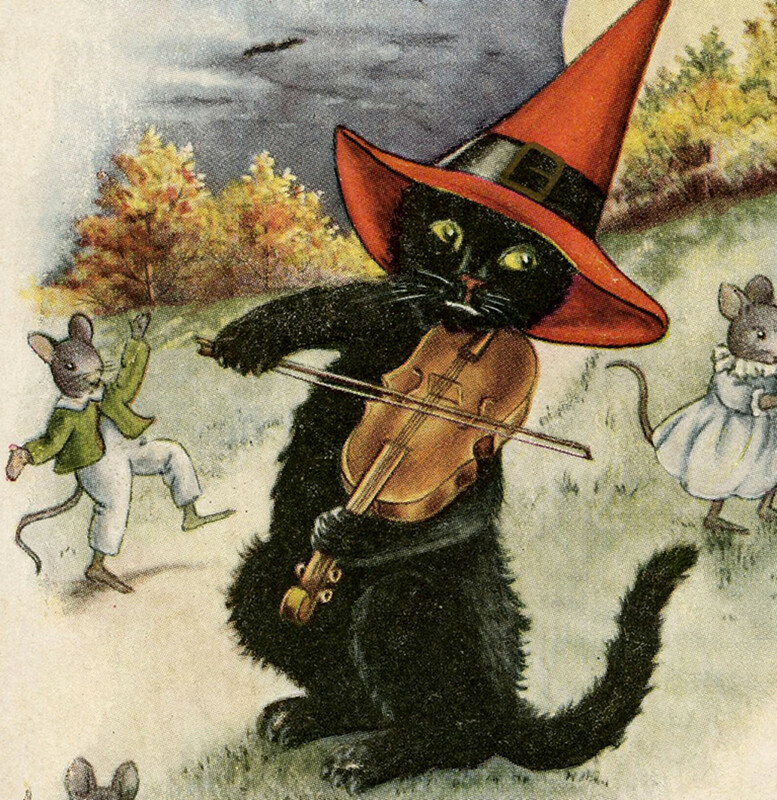 In popular media today, the familiar is almost always represented as an animal, and usually the black cat. Film and television programs often portray the familiar as a corporeal animal, more akin to a pet or companion, who aids the witch in their magic. In his encyclopedia on the witch hunt era (see link above), William E. Burns insists that familiars were never real animals, but always strictly a spirit. But, folklorist Katharine Briggs disagrees. 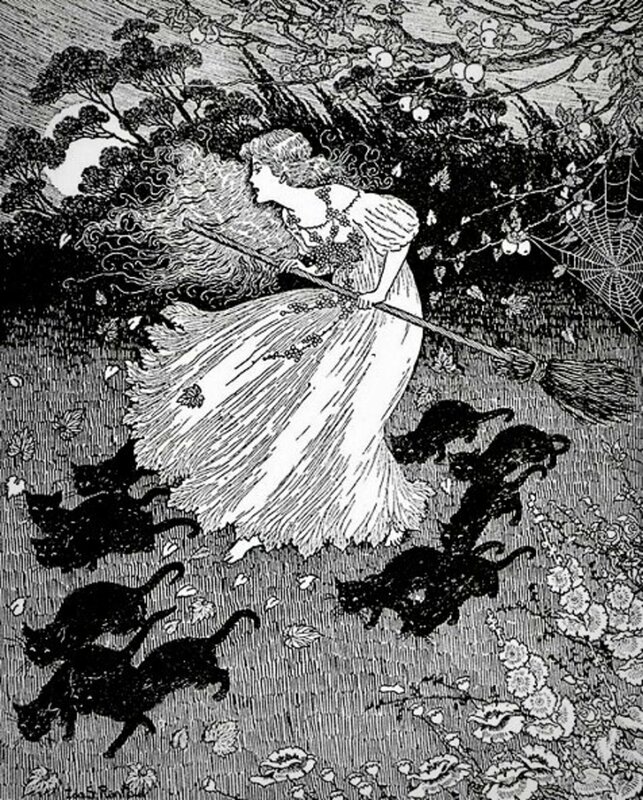 In her book, “Nine Lives: The Folklore of Cats,” Briggs explains the type of elderly person that was often accused of witchcraft often lived alone with his or her pets. Due to the loneliness of a solitary old age, this type of person would no doubt dote on their animals more than what was common in society during that period. 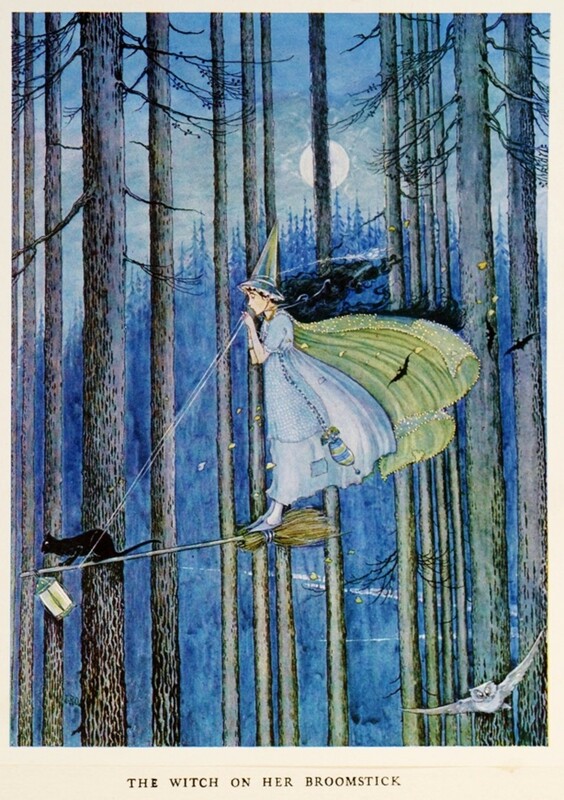 In her own encyclopedia on fairies and spirits (linked below), Carol Rose says that simply having a pet in the home of an accused witch, in some cases, could be considered proof of their guilt. Whether spirit or corporeal, the familiar was not always an animal. Other times the spirit took the shape of a human, or was even known to be the ghost of a deceased person who now resided in Fairy Land. (In British folklore, there is a mingling of ghosts, fairies, fairy land, and the realm of the dead). The deceased might have been someone known to the witch, or it might well have been a complete stranger. Familiar spirits could also be fairies, or other folkloric creatures such as the hobgoblin, who were in the service of the witch that they served. Though familiars were common in many areas, they were not universally known in all regions. They are found with high frequency in the folklore of England, Scotland, and the Basque region of Spain. 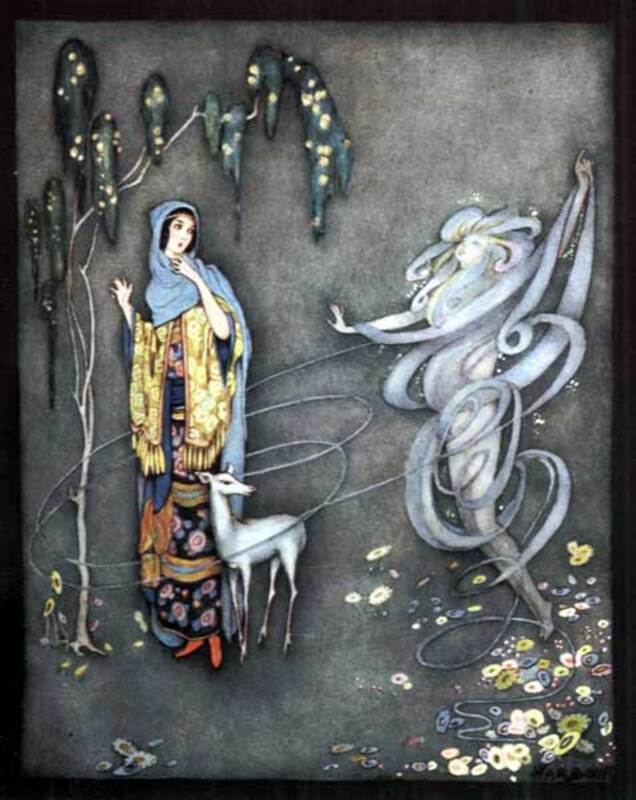 Familiars most often took the shape of animals in England and Basque, but in Scotland familiars could appear as either human or animal and usually with a strong connection to the fairy realm. The types of animals that familiars appeared as were usually creatures that would be commonly known to peasants. So, we see familiar spirits taking the shape of domestic animals such as dogs and cats frequently. But, they also appeared as animals that were present in the landscape. The toad is one such common manifestation. Familiars appeared as toads in England and Scotland, but in Basque the toad is the most common form of familiar, and much folklore developed around this motif. Basque toad familiars were typically described as wearing clothes. They retained a place of honor in the witch’s household, and were thought to be especially powerful. In this way, there seems to be some overlap in traditions of the domestic spirit. The domestic spirit is commonly remembered today as the house elf, or brownie, but could take many forms in old European folklore (more to come on this topic soon!). We see the Basque toad familiar being propitiated with food offerings in the same way that domestic spirits were often given offerings of food in return for the services that they provided. 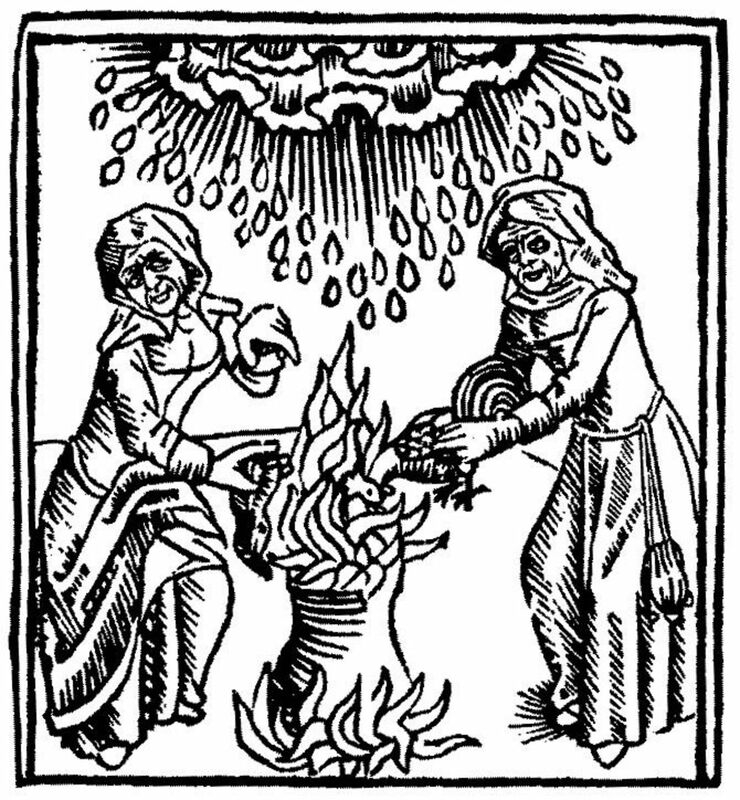 England developed a very rich tradition of the familiar spirit in their folklore and witch trial records. English familiars could appear as the aforementioned animals, but also as ferrets, weasels, rodents, rabbits, or insects. The spirit might be passed down from parent to child in a family of witches, or it was often reported to be gifted to the witch by a power powerful spirit in the otherworld. Because fairy lore was so aggressively demonized by the Church, fairies became equated with demons. 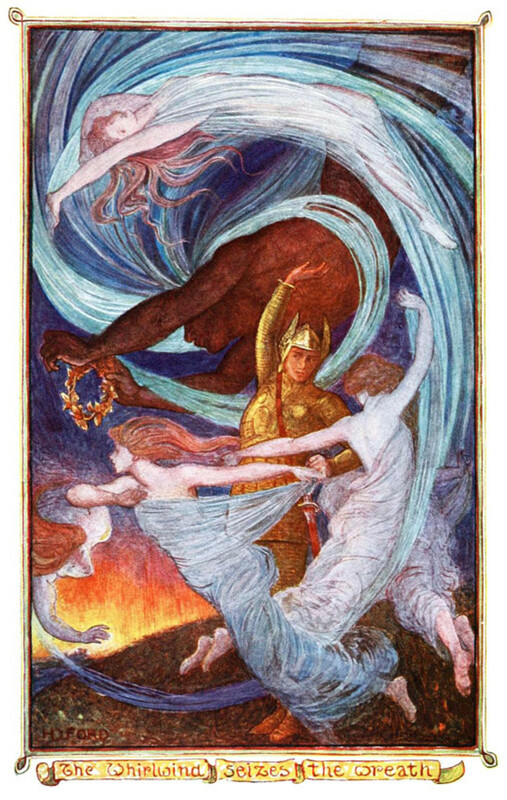 Thus, the folkloric rulers of the fairies were often conflated with the devil, or seen to be in league with him. Therefore, we see some witches receiving their familiars from the fairy king or queen, and others from the devil himself. For this reason, familiar spirits were often equated with demons by witch hunters. Carol Rose says that “in Wales, familiars are mostly demons who are usually invisible” (Rose, 113). This tradition of invisible demonic familiars appears to be unique to Wales, and may be a result of prodding by witch interrogators rather than any real folkloric belief. It is my opinion that animal familiars may serve a similar function in folk belief that we see entities such as spirit animals, power animals, totems, spirit guides, and so forth, fill in other cultures. In fact, the modern conception of a spirit guide is quite similar to a guardian angel, and Carol Rose makes the analogy of an attendant familiar spirit with the role of a guardian angel in her encyclopedia. 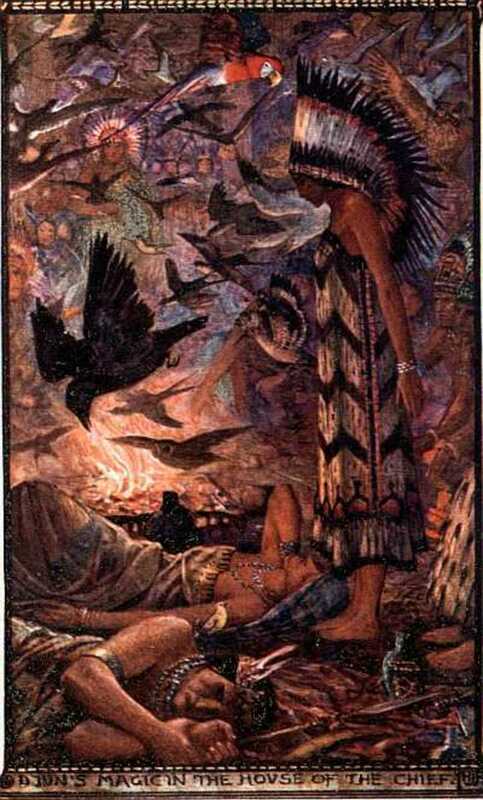 There are many scholars today who have developed a very strong case for the theory that a minority of accused witches may have been engaging in ancient shamanic practices carried over from the pre-Christian era. This does not apply to all, or even most, of the accused, as we know that witch interrogators would elicit confessions with the use of torture and tell the victim precisely what to confess. However, there are some anomalies. For example, Italian scholar Carlo Ginzburg has studied the Benandanti, or “good walkers,” a group of accused witches from the Friuli region of Italy. The region of Fruili had its own dialect that was distinct from the other Italian dialects, which protected them from the witch trials for a very long time, as there were no inquisitors who could speak their language. When they eventually got around to interrogating them, the inquisitors were astounded by what the Banandanti confessed to—because none of it was found in their witch hunting manuals! When the confessions do not match the witch hunters’ manuals, this is one clue that their practices were not fed to them by the interrogators. Among the things the Benandanti confessed to was the practice of going into trance to journey to the spirit world to engage in spirit battles to protect their village’s crops from malevolent spirits that sought to sabotage their harvest. Carlo Ginzburg discusses his theories, and even expands his discussion to other parts of Europe including German speaking regions and Lowland Scotland in his books, ”Ecstasies: Deciphering the Witches' Sabbath” and “The Night Battles: Witchcraft and Agrarian Cults in the Sixteenth and Seventeenth Centuries" (see link above). Emma Wilby is a British scholar who has found similar conclusions in her research into Scottish witch trials. 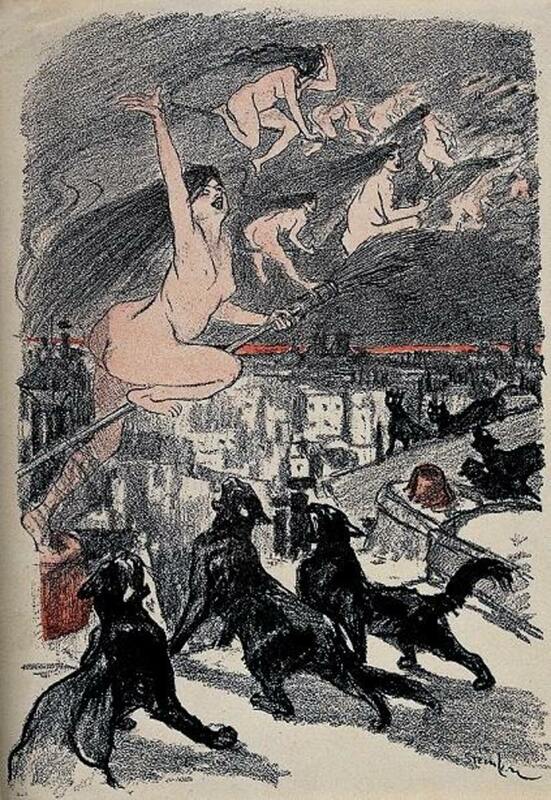 Wilby discusses accused witches’ use of trance, and other shamanic techniques, to engage in otherworldly travel and interactions with spirits in the other world. 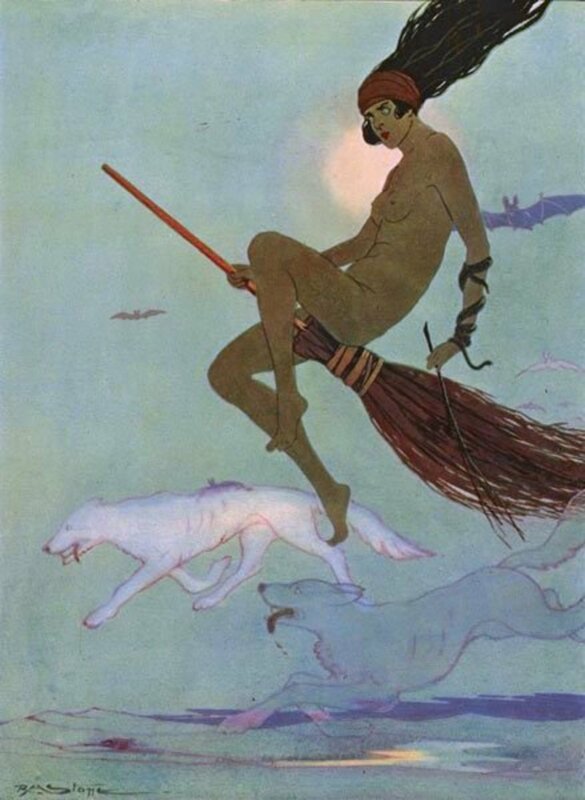 The theory that some accused witches were using shamanic practices is briefly touched on in “Scottish Fairy Belief” by Lizanne Henderson and Edward J. Cowan. They mention another scholar, who I have not yet read, by the name of Eva Pocs whose research on witchcraft and the fairy tradition in Hungary and Southwest Europe has produced findings very similar to Ginzburg’s and Wilby’s. 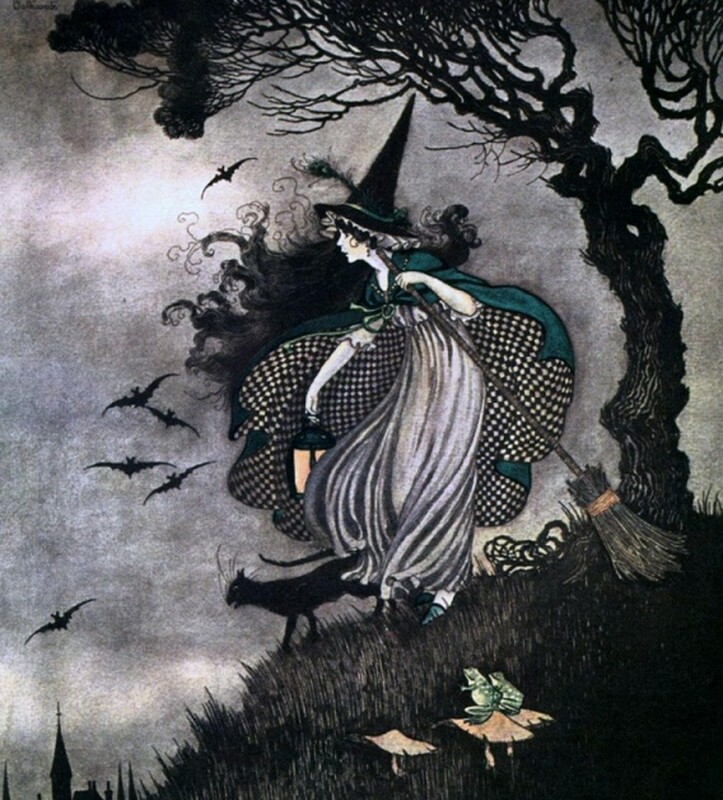 So, we see that there is strong scholarly support for theory that a minority of witches may have been carrying on traditions that originated in the pagan landscape of ancient pre-Christian Europe. Their familiars are often intermediaries to the spirit world. Familiars are often the beings who teach healing or magical powers to the witch. This is not unlike the role of animal guides that we see in other shamanic cultures, or even in modern neo-pagan and new age beliefs. And, indeed, Carol Rose mentions many worldwide cultures with folkloric tales of familiar-like entities in her encyclopedia. Many of the cultures she names have historically shamanic traditions, such as the Saami, Native American, Australian Aborigine, and Siberian cultures. Of the Siberian tradition, she says “In Siberia the Familiar is known as a Yakeela, which may be required to combat the Familiar of an adversary shaman” (Rose, 113). This sounds strikingly similar to the practice of spirit battles of the Benandanti described above. To conclude, it’s important to mention that from the Middle Ages into the Renaissance, and indeed, in many cases even into modern times, the beliefs held by the populace are often vastly different than what they ought to believe when going by the standards of the powers that be. In other words, if you were to ask “what religion were the people of Scotland in the second half of the 16th century?” Protestant Christianity would be the correct answer. However, this would not correctly reflect the beliefs of the common folk, especially among the peasantry. The rural people hung on to “the old religion,” which was Catholicism, for many years after the Reformation. And that old religion was infused with many beliefs that were retained from the far older religion, indigenous polytheism. Popular religion, therefore, is what is actually being practiced by the people vs. what the official religion preached at the pulpit teaches. And, it is usually a rich mix of influences from all of the above. You see this very plainly today in Central and South America, where there is a fascinating merging of native beliefs and Catholicism. The same phenomenon happened many centuries earlier in Europe. The tradition of the familiar spirit, like most folk traditions, retained elements of a pagan origin while it also assumed Christian ideas that were either organically infused or superimposed upon it by secular and religious authorities. This mix of influences is what makes folklore a fascinating, but sometimes challenging, topic to explore. Briggs, Katharine. 1988. 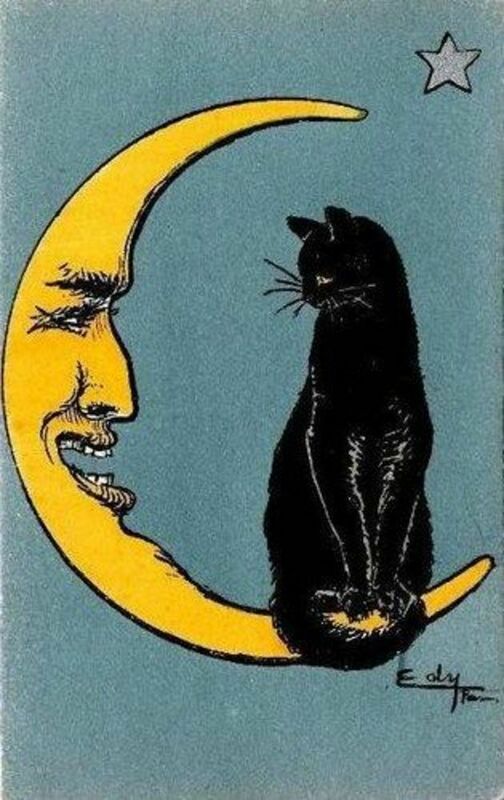 Nine Lives: The Folklore of Cats. New York: Dorset Press. Burns, William E. 2003. 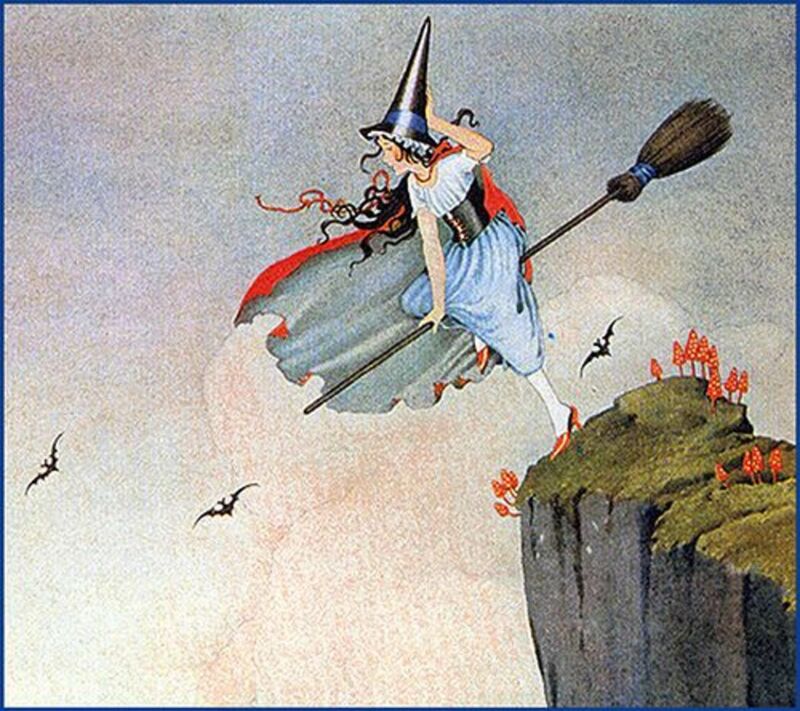 Witch Hunts in Europe and America: An Encyclopedia. Westport, CT: Greenwood Press. Ginzburg, Carlo. 1966. The Night Battles. Baltimore: The John Hopkins University Press. Henderson, Lizanne, and Edward J. Cowan. 2011. Scottish Fairy Belief. Eastbourne, UK: CPI Antony Rowe. Rose, Carol. 1996. 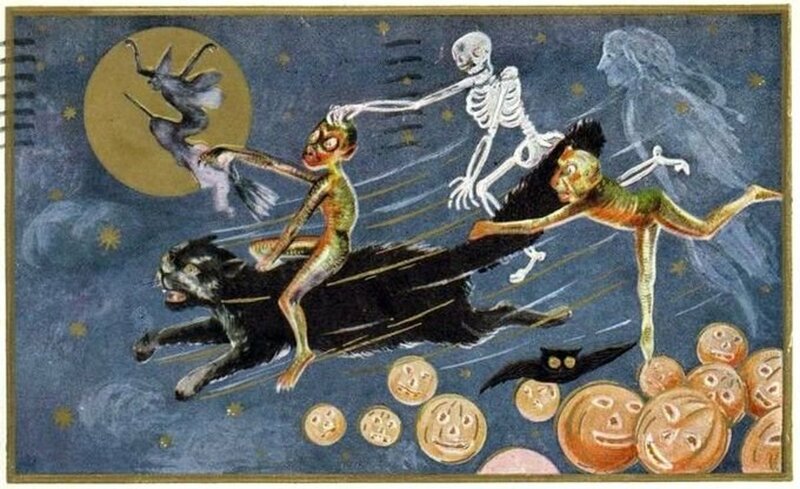 Spirits, Fairies, Leprechauns, and Goblins: An Enclyclopedia. New York: W. W. Norton & Co, Inc.
Wilby, Emma. 2005. Cunning Folk and Familiar Spirits. Eastbourne, UK: Sussex Academic Press. 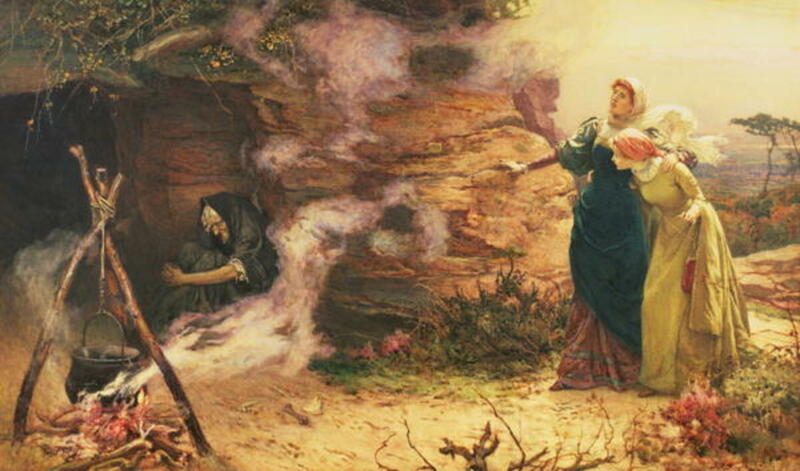 Wicca and Witchcraft: Which Is Witch and What’s What? Can people see your familiar or is it just you? A most enjoyable and informative read, With Thanks. Didn't they get cold, riding around in the sky at night, stark naked? This is very fascinating! I grew up reading tales of witchcrafts, fairytales, folklores and the likes and I still find them very interesting up to now. Most interesting, indeed. Well done research, and educational. 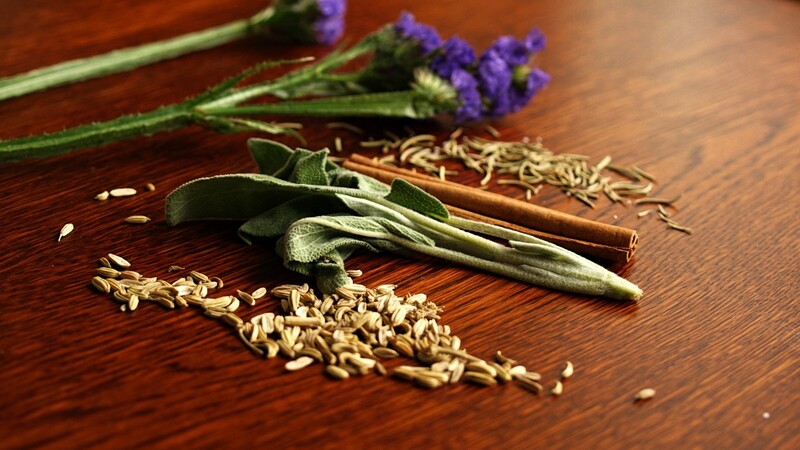 Far too many people have indulged in witch hunts of various sorts throughout history. What it really is, is persecution of those who appear somehow "different." It is still happening today, but the victims are not classified as witches; instead, they have become the LGBT community, or people of color, despite so called advances in civil and equal rights. 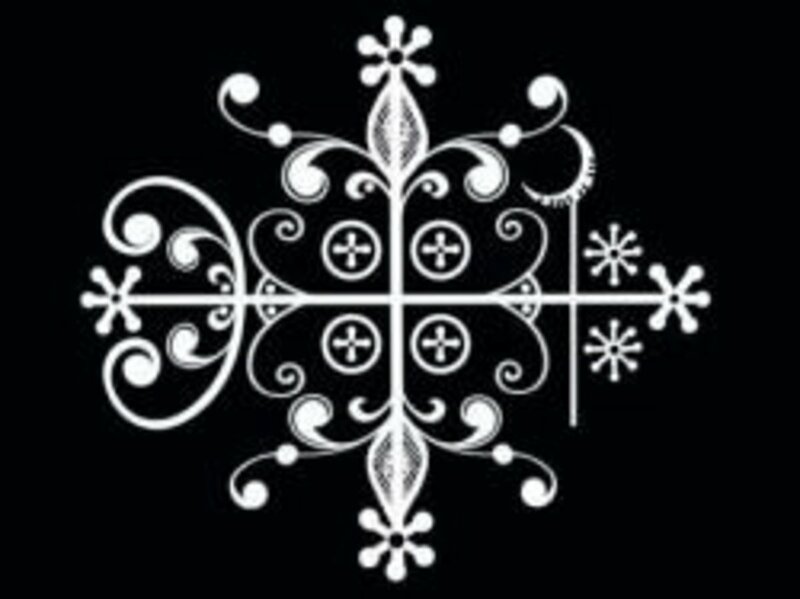 It is possible I am mistaken--I often am--but I believe what you reference in your conclusion is also seen in the New Orleans area of Louisana, where Catholicism is mixed with older practices from the old voodoo religion. Voted up, ++ shared and pinned. i could not find the links to the books mentioned. Carolyn, this was another wonderful hub from you on fairies. It was interesting, informative with a voted up! This hub is interesting, thought provoking and informative, as always, Carolyn. Thanks for another enjoyable read. 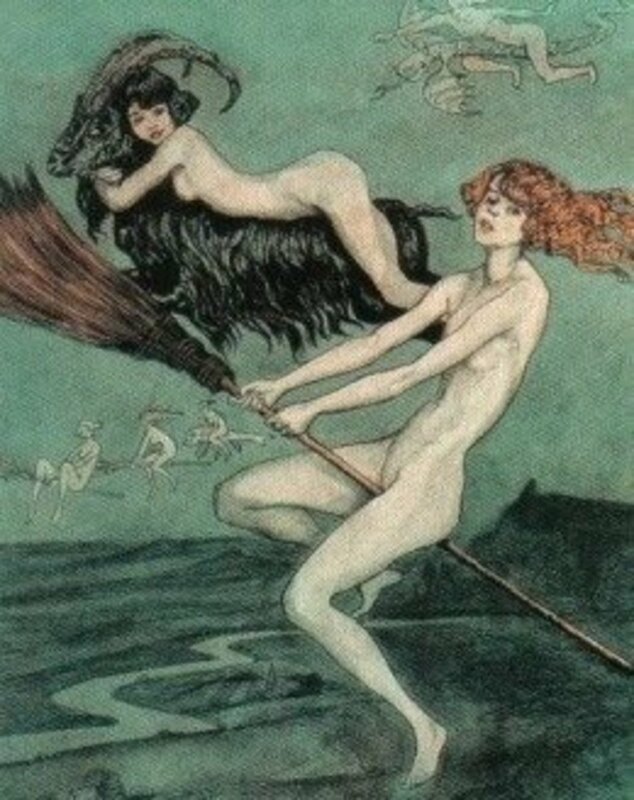 What I find most interesting about accounts and depictions of witches is how much men of the middle ages seem to fear the sexuality of women. Hi Annart and Polly, thank you both so much for reading and commenting! I really appreciate it :-) I'm thinking I should check out those books! A very nice read, with lots of different references and examples. annart's comment above about Philip Pullman brings to mind the fylgjur. A fetch can be a servant, guardian creature, protective spirit, or extension (or projection of) the self. There's a whole spectrum of animals in magic as you know, even down to shape-shifting! I really like the idea of "borrowing", whereby a witch enters a trance-like state and allows her mind to drift into her familiar. Very much like the wargs we see in Game of Thrones I suppose! You've given us a fascinating amount of information here, Carolyn. Tales of witchcraft are always loved by children and adults alike, I think. I like Philip Pullman's take on familiars in 'His Dark Materials'. If you haven't read the trilogy, it's a must! In these books, a human cannot exist without its 'other ego'; I see them as the characters' souls. There is so much research here too. I've come across the folklore of sorcery in Brittany (also Celtic origins) and in the central region of France (le Cher or le Berry).